Excellent Affordable Lakeview Condo! \r\nThis well-maintained one bedroom condo has a great layout including a spacious living room with a fireplace, kitchen with white cabinets, newer counter tops, upgraded fridge, stove and dishwasher. Open to the dining area. A nice sized bedroom with large closet, full bathroom and in-suite storage room. Many recent upgrades including newer windows, laminate flooring, counter tops and lighting. Laundry room is just down the hall. 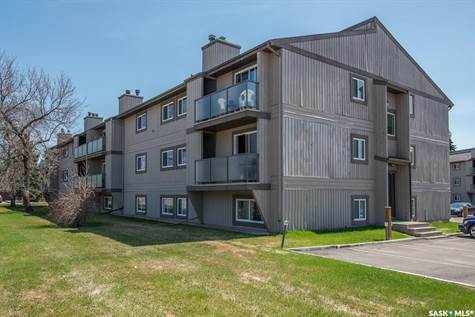 One parking stall included.\r\nA good east-side building and location with direct bus route to the U of S and close to all conveniences!